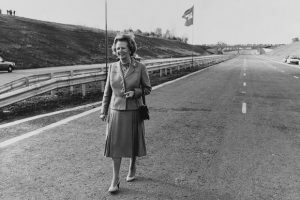 Cars, people and events in this week’s Motoring Milestones include: M25, Margaret Thatcher, Craig Breedlove, Queen Elizabeth II and Ford Taurus. 80 years ago this week, the 3,000,000th Buick was presented to Arthur Lee Newton, President of the Glidden Buick Corporation in New York City, the marque’s largest dealer [25 October 1936]…… 70 years ago this week, the 1947 Fords were introduced to the public on what was billed as “V8-Day” [24 October 1946]….. The first major post-World War II race, the revived Pena Rhin Grand Prix staged in Barcelona, Spain, was won by Giorgio Pelassa in a Maserati 4CL [27 October 1946]…… 50 years ago this week, the Nissan Sunny and Toyota Corolla were unveiled at the 13th Tokyo Motor Show. Other carmakers also presented their new models in the 800-1,000cc engine class, heralding the “Era of Cars for Everyone.” Amid the My Car boom, mini-vehicles fitted with under 660cc engines also earned popularity among consumers again [26 October 1966]. 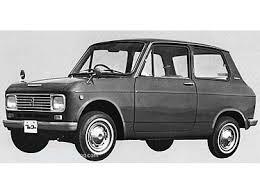 New mini vehicle models such as Honda’s N360, the Daihatsu Fellow, and Suzuki Fronte featured significantly improved performance. opened by Queen Elizabeth II [30 October 1991]. 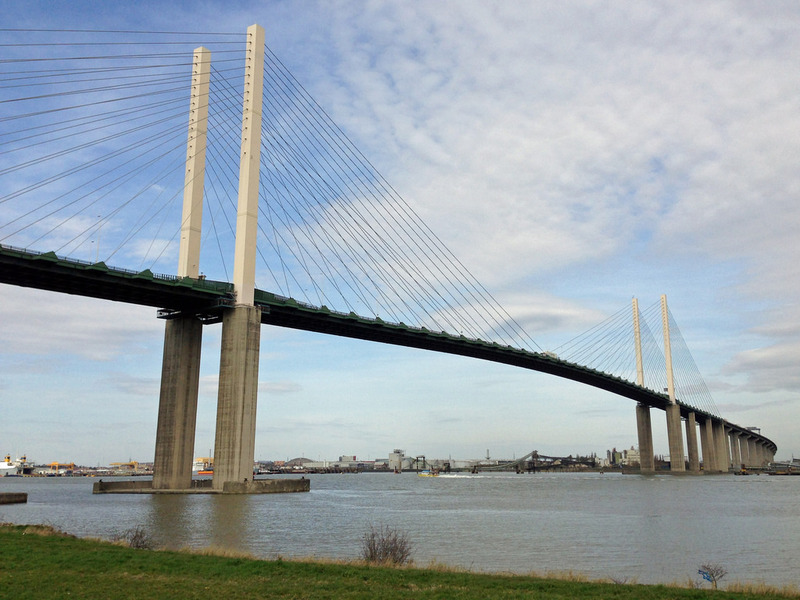 At the time of opening, it had the longest cable-stayed span of any bridge in Europe and was the only bridge across the Thames downstream of Central London to be opened since Tower Bridge in 1894…… 20 years ago this week, Craig Breedlove drove the Shell Spirit of America LSR vehicle to a speed of 675 mph in the Blackrock Desert before a gust of wind caused him to lose control and crash [27 October 1996]. Breedlove was not hurt, but car sustained $500,000 in damages…… 15 years ago this week, Matthew McKnight was thrown 118 feet by a car that hit him while travelling about 70 mph, to become the holder of the record for the ‘Greatest Distance Thrown in a Car Accident’ [26 October 2001]. He was struck while trying to help accident victims along Interstate 376 in Monroeville, about 15 miles east of Pittsburgh, Pennsylvania and suffered two dislocated shoulders plus a broken shoulder, pelvis, leg and tailbone. He spent 2 weeks in hospital and 80 days in rehabilitation before returning to work in April 2002…… 10 years ago this week, the last Ford Taurus rolled off the assembly line in Hapeville, Georgia, US [27 October 2006]. The keys to the silver car went to 85-year-old Truett Cathy, the founder of the Chick-fil-A fast-food franchise, who took it straight to his company’s headquarters in Atlanta and added it to an elaborate display that included 19 other cars, including one of the earliest Fords. “I do have this disease of collecting cars,” Cathy told a reporter. “I was very sorry [the workers at the Ford plant] lost their jobs,” he said, but “since I was gonna get the keys, I was glad for that.” When Ford added the Taurus to its lineup in 1985, the company was struggling. High fuel prices made its heavy, gas-guzzling cars unattractive to American buyers, especially compared to the high-quality foreign cars that had been flooding the market since the middle of the 1970s. The Taurus was smaller than the typical Ford family car, and its aerodynamic styling appealed to design-conscious buyers. Almost immediately, the car was a hit: Ford sold 263,000 in 1985 alone. Sales figures climbed higher each year, and in 1992, the Taurus became the best-selling passenger car in the United States. (It wrested this title away from the Honda Accord, and kept it for the next five years.) But by the 2000s, the Taurus had lost much of its appeal. Even after a 1996 facelift, its once cutting-edge design now looked dated, and it still did not have the fuel efficiency of its Japanese counterparts. (In fact, in contrast to cars like the Accord and the Toyota Camry, which overtook the Taurus to become the nation’s best-selling car, by the mid-1990s Ford was selling the majority of its Tauruses to rental-car companies, not individuals.) Ford discontinued the Taurus station wagon at the end of 2004, and idled the Hapeville plant—across the street from the original Chick-fil-A—two years later. Fifteen hundred workers lost their jobs. In place of the Taurus, Ford pushed its full-size Five Hundred sedan along with its midsize Fusion. Neither sold especially well, however, and in 2007 the company re-released the Taurus (actually just a renamed version of the Five Hundred). It unveiled a revamped, sportier Taurus in July 2009…… Mercedes-Benz World was opened at the famous Brooklands race circuit in Surrey, England [29 October2006]. Spread over three floors with over 100 cars on display, including a 300SL Gullwing and a McLaren Mercedes SLR sports car, Mercedes-Benz World offered driving lessons to anyone over 1.5 metres tall, including children.